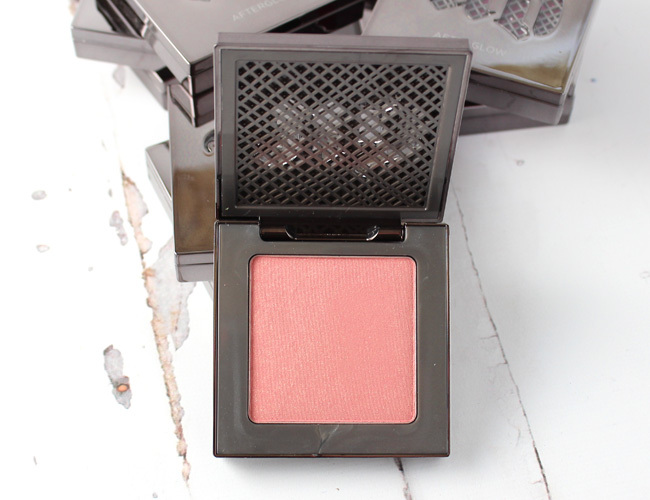 Afterglow 8-Hour Powder Blush is a finely milled powder formula that has a super soft, almost creamy texture to it that applies beautifully each and every time. It just glides across the face without dragging and leaves a lit-from-within look that makes skin simply glow no matter which shade you choose. Speaking of shades, there are twelve of them in the line up. From the perfect soft neutral shade that works on any skin tone (Video) to bright pink that leaves that perfect pop to the cheeks (Quickie) all the way to Red, Bright Purple and my favorite that I have been wearing everyday, Score - a pinky peach shade with a hint of shimmer. My favorite shade that I have been wearing everyday, Score. 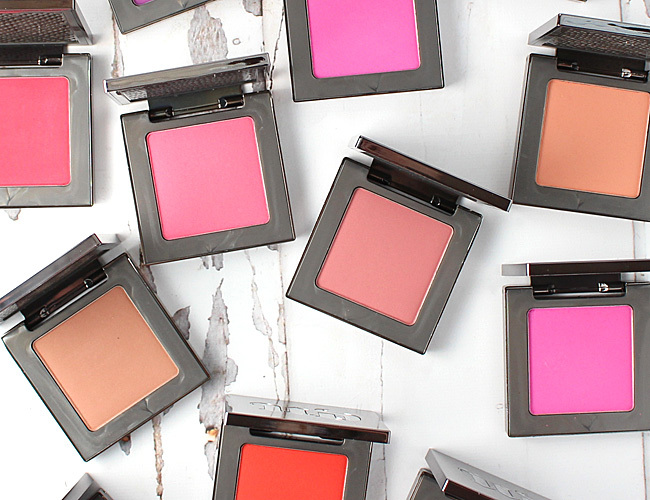 It leaves the most natural healthy looking flush of peachy-pink color to my cheeks. It has just the right amount of shimmer to it as well. I love that you can see the shade right through the case so you know what you're getting out of your makeup bag - no guess work involved. Leave it to Urban Decay to think of everything! 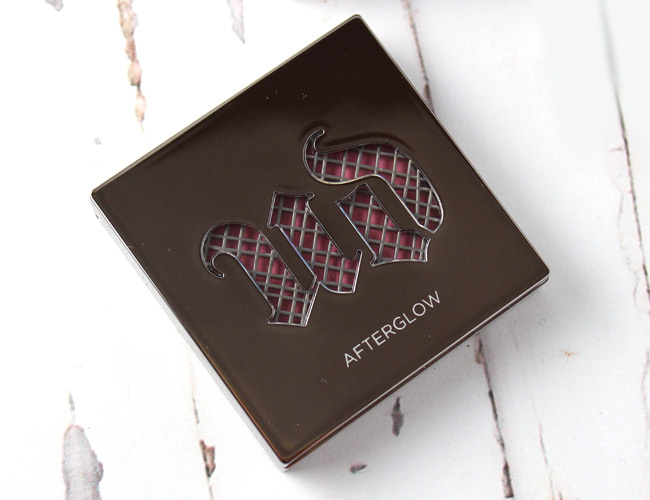 Afterglow 8-Hour Powder Blush sells for $26 each at Sephora, ULTA, beauty.com, Nordstrom.com, select Macy's and urbandecay.com.